It feels like I'm the star of a movie that everyone hates, but everybody likes to watch. 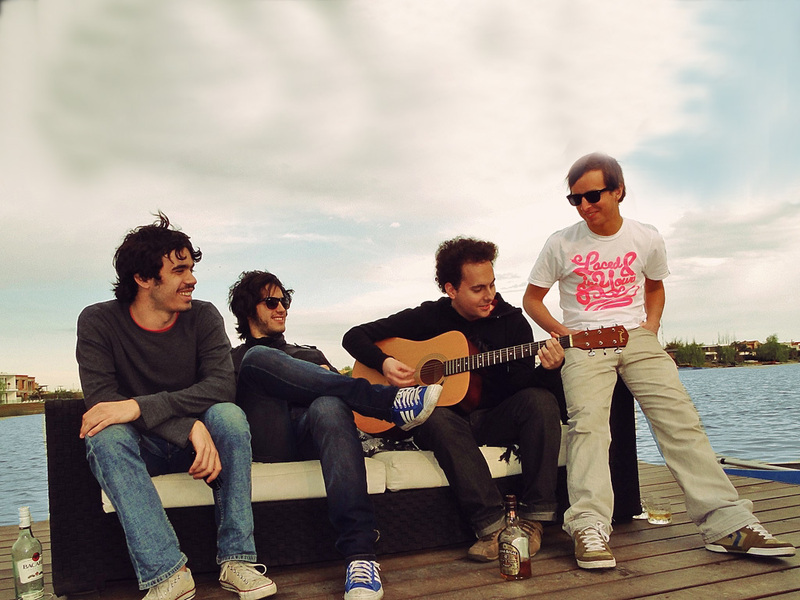 The New Beans is an indie band from Buenos Aires, Argentina. The band is named after Velez Sarsfield's (an Argentine sports club in western Buenos Aires) football player Fabian "poroto [a Spanish word for 'bean']" Cubero. The band first formed in 2010, as is comprised of Ignacio Grazzini on vocals and guitars, Julian Caffarelli on drums, Agustin Poratti on keyboards, and Javier Ojeda on bass. Prior to forming The New Beans, Grazzini and Ojeda played together in a band called The Mind Surfers. They met Caffarelli, who was playing in another band called Superviel. Poratti was the last to join The New Beans, after being introduced to the band by a mutual friend. The band is influenced by both North American and European indie rock bands, including The Killers, MGMT, Death Cab For Cutie, The Strokes, Phoenix, and Arctic Monkeys. They released their debut album, "The New Beans" on 12 June 2011. The album features ten tracks, all sung in English. In September 2011, and after several appearances in magazines, blogs, and radio stations from different countries (like the USA, England, Sweden, Spain, etc), they signed their first record contract in New York. Just a couple of weeks after signing, their debut album became one of the top Napster albums, next to bands like The Killers, Florence & The Machine, Phoenix and others.